How to Become a Baba – A Guide for The Dummies | . Informed . Opinions . hmm…this one is a gutsy post…and by the way, the movie i mentioned was not meant for the “informed” and “opinionated” ones….that was for silly people like us !! haa…haa..
Now I understand why it always was “baba black sheep”… :-)!!! Jai ho baba guru dev! 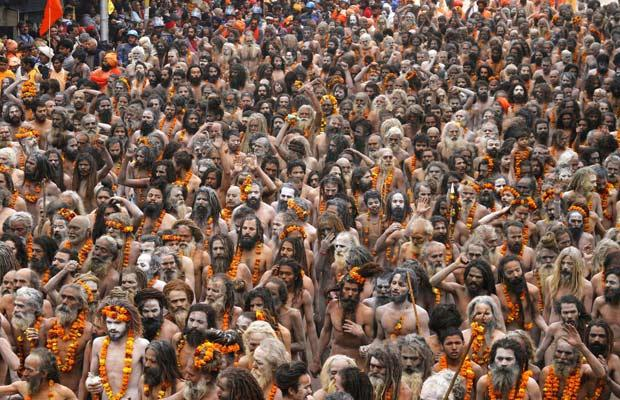 A wonderful, hilarious, and a must read for all prospective babas! Did you know that soon association of babas are going to issue POBO cards (people of baba-type origins) to certify the authenticity of the babas. The minimum qualification being – must have cheated at least 10 people of more than Rs. 1cr, has been in the business for more than 2 years, have no police records against him, should have 5 politician, 2 IGs, 2 lawyers and 3 beautiful actresses as his followers, and most importantly have a pleasing smile and young looks. The Baba-log will not take too kindly to this will they? Will they say Baba re Babaa (with a bangla accent)? hmmm, i am not able to find a “Follow” button in ur blog…maybe I missed it?? Indrajit, I am shocked. What right do you have to make fun of these sorts of things? Three days ago Deepak Chopra was in deep meditation and he caused an earthquake in Baja California. Please read the news before writing such offensive posts. If any of the godmen get angry, who will protect us? Yeah, read ’bout Deepak Chopra. Uday provided me with similar info after reading this. Simply loved it. You write very well. Brilliant post! You got a new regular reader !! I am glad you visited my profile and the trail led me to this hilarious Baba post of yours. Very well-written, your undeniable multiple sarcasm cracked me up! I hope some Baba somewhere is reading this too! Well thought and has a haha-factor…i think u shud publish this in a newspaper.these articles require a widspread appaluse..
LOL. Superb post! Loved the sarcasm!! I have totally underestimated the amount of work I need to put in to achieve Baba status. Oh well, back to the drawing board! I guess I should count my blessings (pun intended) that I had the fortune to come across this post…. You have an excellent blog, and I have blogrolled that. And here I thought I was ready to blog my way to enlightenment! Thanks for the footsteps on my blog, Indrajit. You’rs is entertaining and informative and yes, opinionated. I like it. Awesum post…wanted to post my reply earlier…but just dina happen. To let u know: was planning to join this spirituial industry witha bunch of frends, when we werent getting a job…after MBA. Guess its missed oppt now. Heard Ramdev baba is contesting elections…N almost of all em have great much monetory assets…could have been me n frends….idiots!! Ramdev baba may be better than the other more famous names out there. Swami Nithyananda is THE baba to follow the footsteps of. Becoming Sathya Sai Baba may need more than a fair bit of luck. Ho ho ho ..Thats stomach aching stuff…Briliant mann…Loved it! u nasty man! You had me fooled. My fellow cynic. Looks like we will last afterall. That was to bring you here. When you got praised, you didn’t bother. When you got cursed, you decided to explore! i like curses better. Then i feel as if someone is actually reading and getting offended. It is validation of my offensiveness. Problem is too many people seem to agree with me. No fun. Anyway, I’ve blogrolled you. Will keep visiting. Was on the floor of my mini cubicle as I read “not the Bengali baba”…aar paari na Baba….too good !! Babawesome !! A lot of people begin with a bang, but go nowhere – just because they feel bad about what they are doing or feel contended too early. I used to think business is not about fooling people, but is about helping them. But most of the people are happy to be fooled and get angry when helped. So, yeah, no harm in giving them what they want. Just remember that there is no stopping and looking back. Try becoming a baba using all your techniques. If it works, then write here. If not, just shut up. Whatever it is, some people have been able to get so many followings. You try to get 10 followers and then talk. And few people’s wrong doings cannot brand all babas (I am using your word, otherwise I would like to use words like rishi, maharshi etc.) as bad. Be more matured and wholistic (which will also be holistic) in your approach. Sure, I should have had sought your permission to write on my own blog. Peace be upon you. Don’t over-burden your little brain.